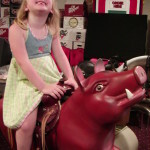 Check out this great red pig kiddie ride. 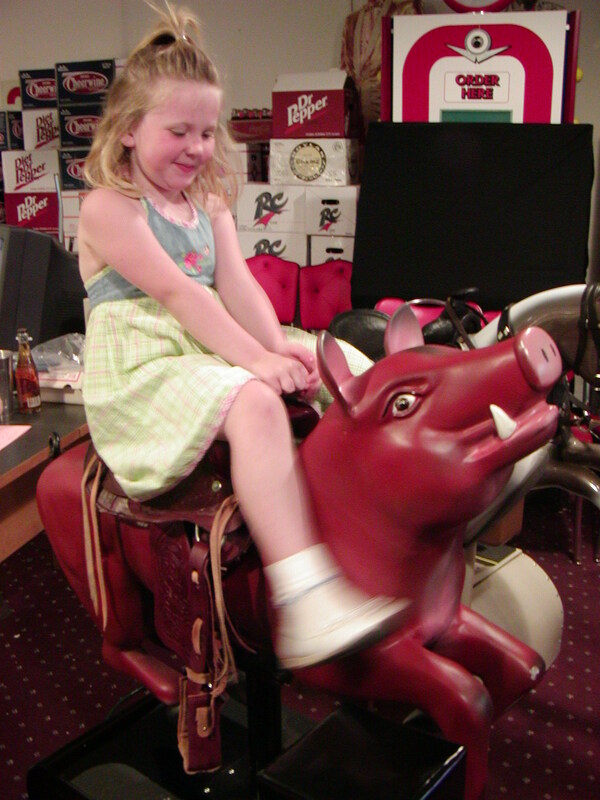 Giddy up little piggy. 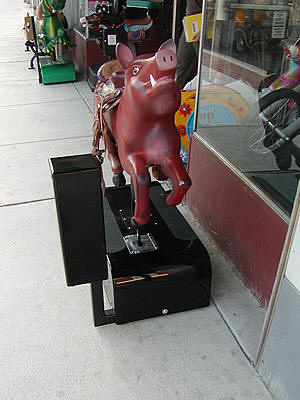 This is a unique, original, fully restored pig Kiddie Ride. 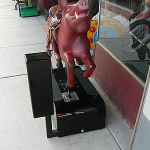 This pig has been professionally repainted by a well known carousel artist, and is sure to put a smile on any young one’s face. 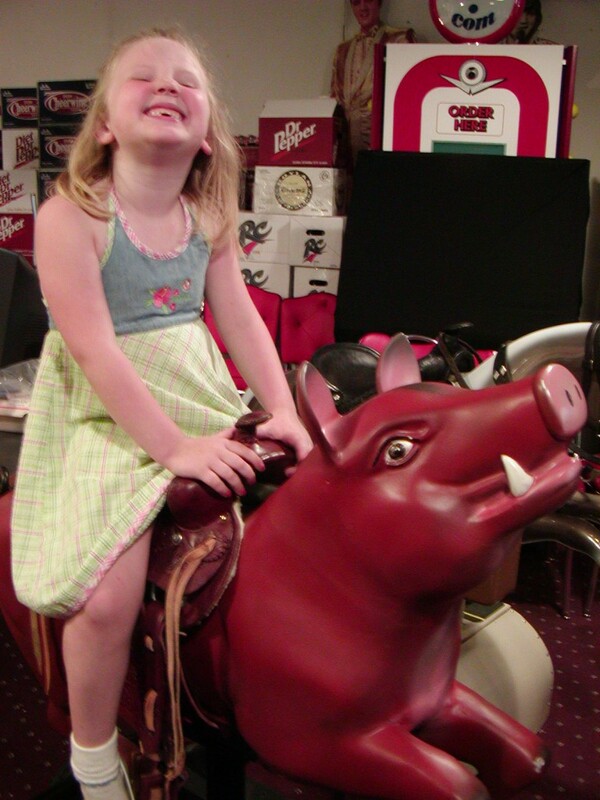 We have restored this ride to perfect working condition and the new coin mech works on a quarter. 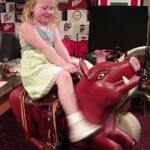 We also gave this piggy a brand new real leather saddle to ensure a smooth ride.